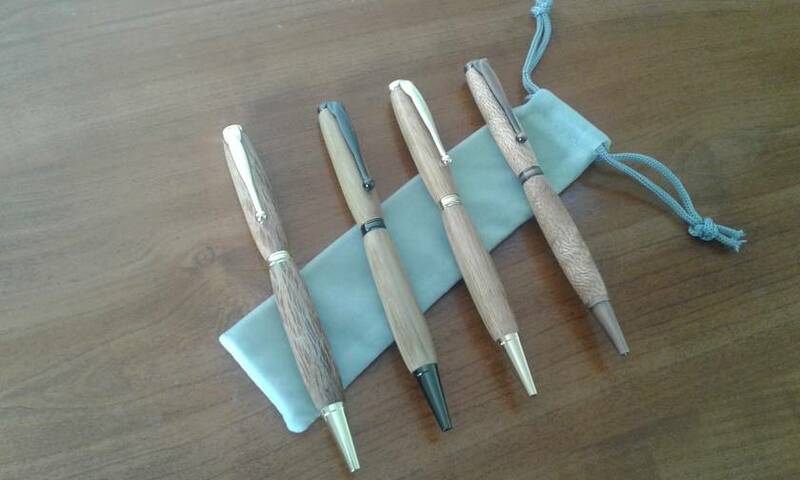 Unique hand turned Slimline Ballpoint Pens in She Oak; Kahikatea; Black Maire and Silky Oak with Gold plated, Gun Metal Gray, Gold plated and Antique Rose Copper fittings, respectively. 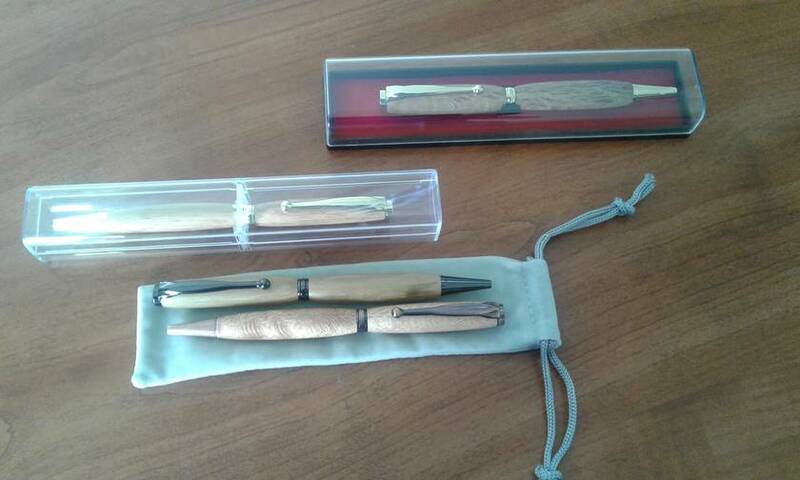 Each pen, sold individually, is crafted with the utmost attention to detail and finished to perfection. 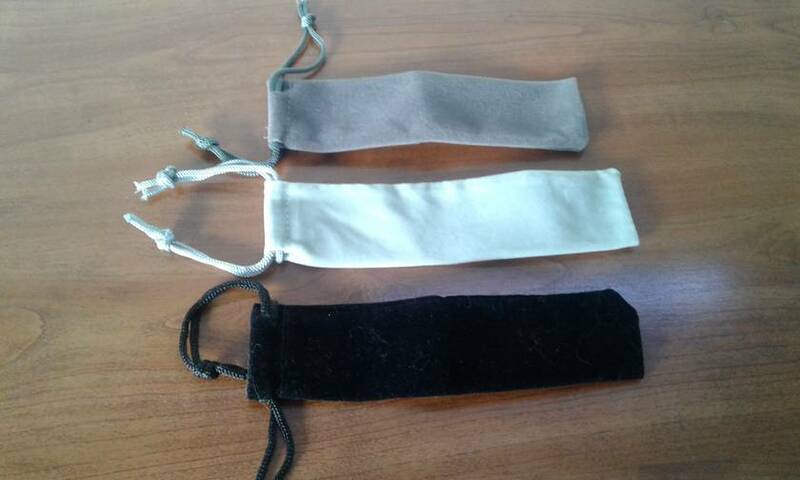 As shown, the pens are sold with either a plastic box (clear and red-lined) or a soft velvet pen pouch included in the price. Please specify your choice at checkout. Expected delivery time is approximately one week from date of purchase. Note each piece of wood is unique and may differ from the picture shown.